Dungarees and colorful strappy sandals. 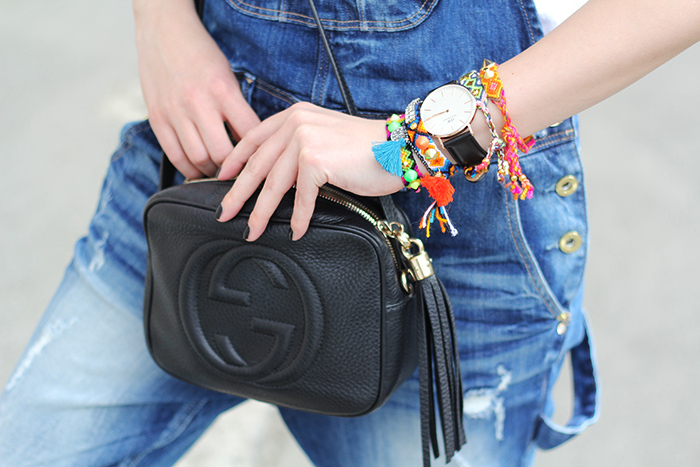 Favorite bag and bracelets. Simple as that! p.s. in case you missed previous post with denim overall check it here to get the idea of how to wear it with flats!